Research evidence of the last two decades indicates positive effects of game-based learning on students' attitude and performance in math education. Game-based Internet math sites are geared to help students stay motivated and master grade-appropriate math concepts. 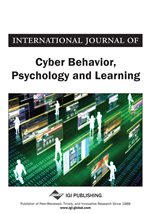 This review presents One) a literature review on game-based learning via instructional design and game design considerations, Two) a tabulated review of 30 Internet math games from a math educator's first-hand experience in playing and critiquing in reference to Grades 6th - 8th players' motivation and cognition. Its educational implications include helping educators (a) select Internet math games with a heightened awareness of Internet games' motivational factors and concept-building potential during gameplay and (b) incorporate game-based technology to foster meaningful immersion when students explore mathematical concepts. How does playing games help students learn academic subjects? More specifically, in what ways does playing games online help improve students’ attitudes toward math learning? It is no secret that American children don’t perform as well on math achievement tests as their counterparts from other cultures. Program for International Student Assessment (PISA) (International Data Explorer, 2013) offers a snapshot that adolescent students in the U.S. fall behind in comparison with those from other countries. Over the past decades American educators have revamped the k-12 math curriculum to shift the focus in the learning objectives (Baker, Knipe, Collins, Leon, Cummings, Blair, Garnson, 2010). Researchers have gained significant understanding of blending the entertaining aspect of gaming into the learning activities (Betz, 1995, Gee, 2007, Malone, 1981, Dempsey et al, 2002). Such “edutainment” (Lepper & Chabay, 1985) provides a much higher motivational value for the learners. Game designers such as Prensky (2001) acknowledged that digital learning games were the highly exciting medium that combined serious learning into interactive entertainment. Children born in and after the 1990s are raised in an environment with mobile electronic devices and all-time connection to the Internet. With young children spending up to 10,000 hours of computer or video games by the time they turn 21 (Prensky, 2003), game-based learning will remain an important topic in education in today’s digital era because our digital natives (Prensky, 2001b, 2003) are growing up having adapted to multitasking in the world of hypermedia. Learning mathematical concepts through gaming is no exception.